Ordinary paper tube packaging boxes is not enough to meet the needs of publicity with the products and brand . especially in the large number of packaging products that can not attract consumers. This is an unavoidable problem, the only way is to make creative product packaging can be able to gain more attention in the competitive market and increase more market share. Today, vintage style or new creative packaging can maximize brand influence, whether your product is essential oil, food, cosmetics or another. 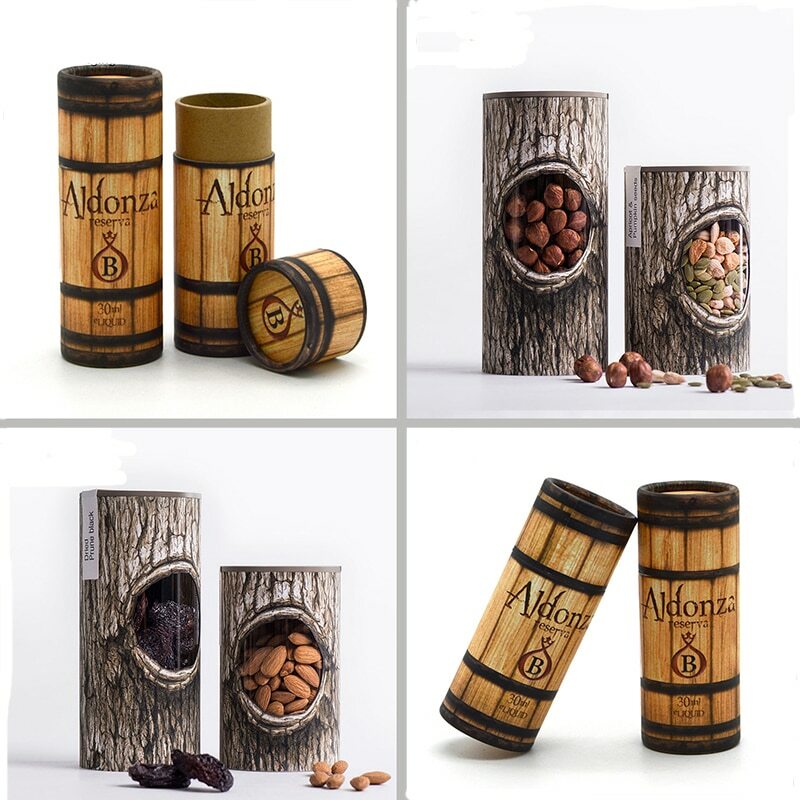 If use the popular imitation wood packaging is applied to various tube boxes packages, it will be able to break the existing sales dilemma and the consumers or other groups will to spread the brand be free . In the era of the Internet, people are becoming more and more identify with by 4E (Experience, Everyplace, Exchange, Evangelism), and every individual have possibility become a brand communicator. If your tube packaging design is unique , people like it at the first sight, and there have more than 90% probability will share it with Facebook, LinkedIn, Twitter, and so on. Let more people to know and like your brand. Note it , these spontaneous spread is free and the value this value biggest. If you want to maximize the effectiveness of imitation wooden packaging, you need to have it detailed more. Imitation wood cylinder packaging is divided into two types according to the raw material. One is imitation wood paper round boxes, the other is 3D printing tube packaging. Imitated wood paper packaging has high quality and luxury, and is welcomed by high-end product brands, but it is not widely used because of its high cost and a small quantity for wood grain. For example, you see the candles packaging, using light colored wood paper as decoration, and then in the form of label paper to highlight the brand. Another kind of imitation wood paper packaging is Use 3D printing technology, imitating the shape like a trees, eventually forming all kinds of creative packaging. Other types of creative packaging are mostly used in this way. The wood-like 3D printing has many advantages, such as the shape and color that can be molded, and the use of copper paper to be printed into wood pattern, so the cost is lower. In addition, it can highlight the brand directly . when designing and printing. You have see the 30ml essential oil imitation wood grain tube boxes package, the printing process is perfect, the appearance is no different from the high-end wooden box. Or a tree – hole – shaped food package with transparent windows, using 3D printing will let consumers to pay the first attention to it to buy products and automatically spread the brand among the many products. I believe you are also attracted by these creative imitation tube boxes packaging, and will fell happy to sharing it with friends But the creative packaging ideas we offer you is not just this, we can also provide more advice for your products, because we have a professional tube boxes packaging design team. The imitation wooden box has always been the type of packaging I want, but I am not very familiar with the production process. But fortunately, through your article, I have a deep understanding of imitation wood box packaging, thank you very much. Can you provide wood-like packaging for my food?